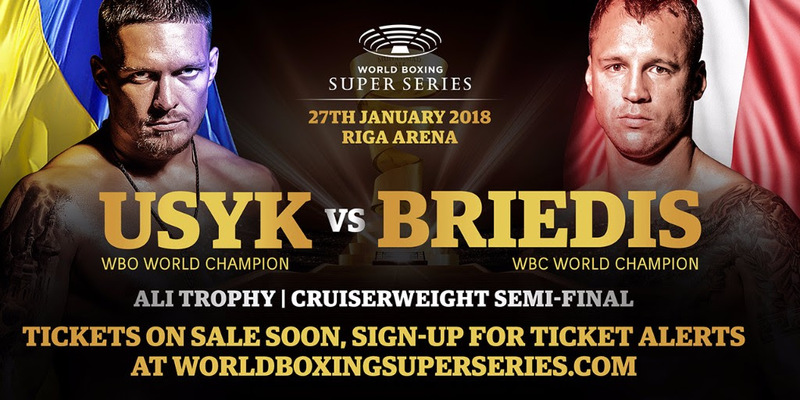 The undercard for the Ali Trophy semi-final in Riga on January 27 between Aleksandr Usyk and Mairis Briedis features both established and rising stars. Switzerland’s Yoann Kongolo (10-0, 4 KOs) will defend his WBC International Silver title against hometown hero Andrejs Pokumeiko (16-12-1, 12 KOs), over ten rounds in the Light Heavyweight division. The former WBC International Cruiserweight champion, Micki Nielsen (24-1, 15 KOs) from Denmark will take on Latvia’s Ricards Bolotniks (10-3-1, 4 KOs) in an 8-round contest. Nielsen has been sparring with Mairis Briedis in preparation for this bout, and the Danish star hopes to upset the hometown fans and make it three wins in a row. Undefeated Swedish heavyweight Otto Wallin (18-0, 12 KOs) faces the man-mountain Srdan Govederica (6-5, 5 KOs) from Bosnia. Undefeated Latvian, Jevgenijs Aleksejevs (7-0, 6 KOs), has made a very impressive start to his professional career so far. But there is no doubt that he faces his toughest test so far in Maurice Possiti (17-12, 7 KOs) from France. Latvia’s Nikolajs Grisunins (6-0-1, 3 KOs) will aim to return to winning ways when he faces the dangerous big punching Jozsef Darmos (8-1-2, 7 KOs) from Hungary. In a mouth-watering 8-round Heavyweight contest, 2016 Olympic games Bronze medallist Filip Hrgovic (2-0, 2 KOs) from Croatia meets United Kingdom’s Tom Little (10-4, 3 KOs). Hrgovic has made a very impressive start to his professional career with two sensational first-round KO victories. However, in Little he faces a very confident challenger. Araik Marutjan (1-0), who represented Germany in the 2016 Olympics takes on the very tough Hungarian Richard Hegyi (4-2, 3 KOs) in a Middleweight contest. The undercard also features the talented cruiserweight Mikael Lawal (4-0, 3 KOs) from London, United Kingdom, who has been sparring Aleksandr Usyk in preparation for this bout. He takes on the experienced southpaw Istvan Orsos (16-43-2, 5 KOs) from Hungary.